Mole’s Match-up is Matchup(Memory) game. 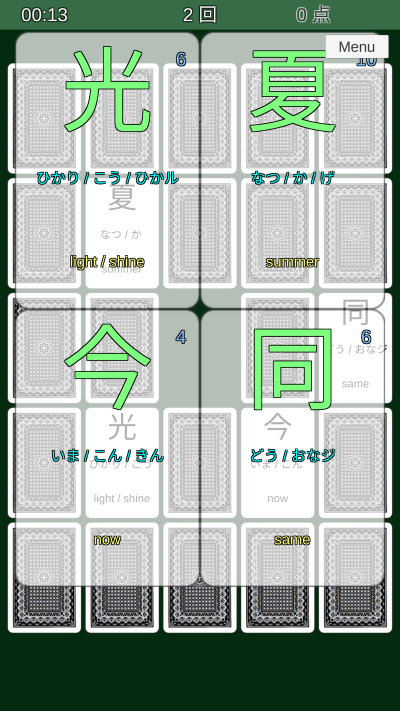 You can play with card sets such as cards, national flags and “Japanese Kanji”. 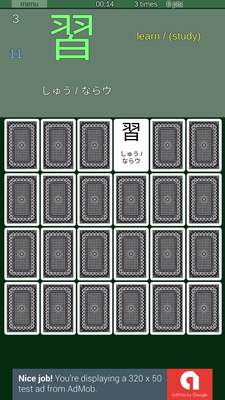 From a group of cards on the screen, tap and open multiple cards. If the contents of the opened card indicate the same thing, the cards will disappear. (Excluding dummy cards) If you make it all disappear, the game will end. The following is a description of each setting value. 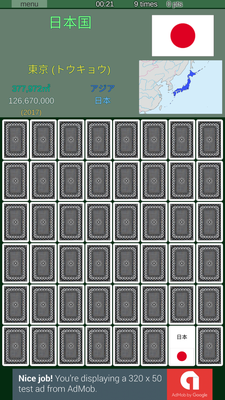 Select the number of cards to be used in the game. 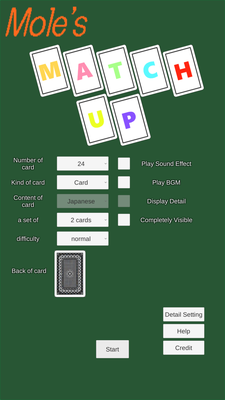 Select the contents and notation of the card to use in the game. Depends on the kind of card. “Jpn-Eng” is Japanese and English, “hiragana-Roma ji” is hiragana and romaji. 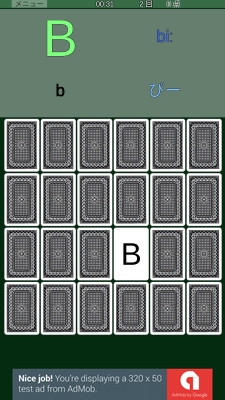 In short, each card has the same information, but it has a different notation. 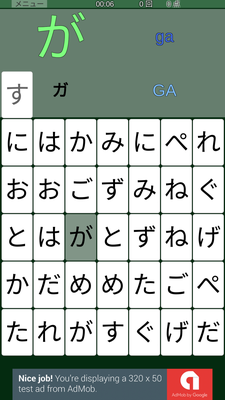 “Kanji (Unfinished)” contains only a kanji and a phonetic letters that are taught at Junior High School, but does not include complete phonetic, number of strokes, or English words. Select the number of cards to match. Select the difficulty of the game. 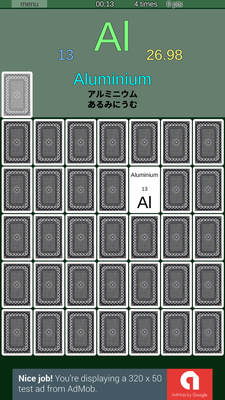 It is an ordinary Match-up game(Memory game). 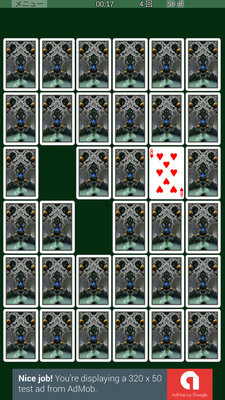 A dummy card will be generated in the place where the matched card was removed. Dummy cards will not lose even if they match. 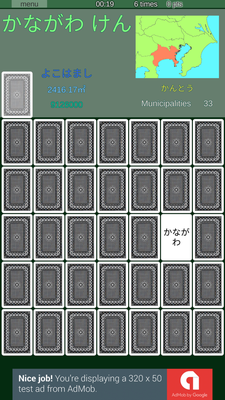 After removing the matched cards, several of the remaining cards will exchange their positions. “Dummy” and “reposition” gimmicks will work. Toggle sound effect ON / OFF. Toggle BGM ON / OFF. This mode is available when the card set is other than “cards”. More details of the selected card will be displayed at the top of the screen. This mode displays the contents of all cards. The score will be low. It is a mode assumed that an infant plays as a picture matching game. When this item is set to ON, after the card matches, it automatically disappears. if not, you needs a tap. When is set to ON, this item is invalid. You can use the back side of multiple cards. When this item is set to ON, after the cards do not match, it automatically return to the back. if not, you needs a tap. It is valid only in the “Countries” mode. Additional data for each country will be displayed. Put the file you want to use in a given folder and turn on this check box, the image and sound effects will changed. Connect the computer to the terminal and copy the file to the desired location. After that, operate the terminal and move the file to [Android] – [data] – [com.molekingdom.molesmatchup] – [files]. If the folder exists on both the main unit side and the SD card side, please put it in the folder that has png file or db file. You can change the back of the card. The image will be distorted unless the ratio is 2: 3 (100: 150 or 150: 225). You can change the character used in the menu etc. It is basically unnecessary for Japanese users and English users. Play when cards don’t matched. Play when the card is turned. Play when you click the menu button etc. Play at the time of counting up at the end of the game. Praise words played when consecutive matches. It is valid only in the “Countries” mode. When OFF, the flag will not be displayed. It is valid only in the “Countries” mode. When ON, only the flag is displayed. It is valid only in the “Countries” mode. When ON, the country name becomes the abbreviated name. You can use usr.llf to change the menu string. The following is the file format of usr.llf. Make the value of “key = value” the string you want to display. The SE data was from the work of the website below. Card back images are made using http://www.xenodream.com/jux.htm and Apophysis.7X16. The atomic symbol data was combined from the data of the reference website below. The Kanji data was combined from the data of the reference website below. The Japnese map data was combined from the data of the reference website below.